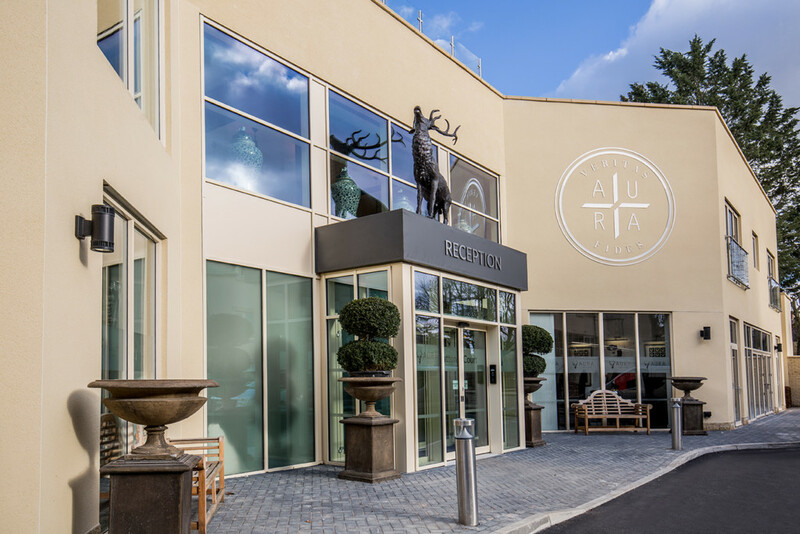 Aura Care Living has been making waves in the luxury care home and retirement living market since the launch of its first development in Camberley, Surrey last year. 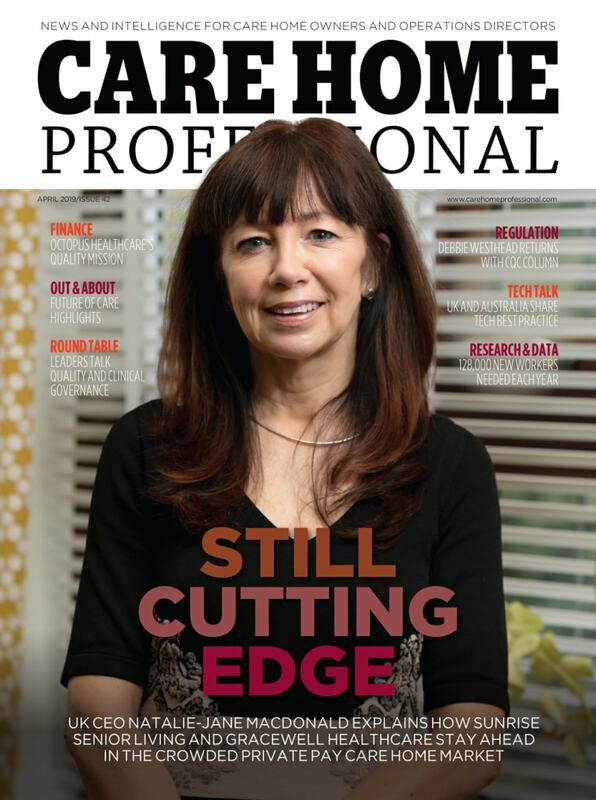 Founder and CEO Linda Lloyd set up the business after a successful career in the hotel sector. 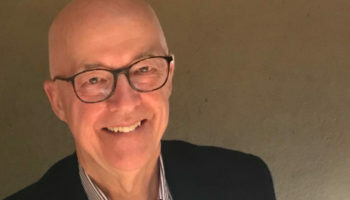 Linda brought Aura Care managing director Cliff Hasler on board in late 2017. 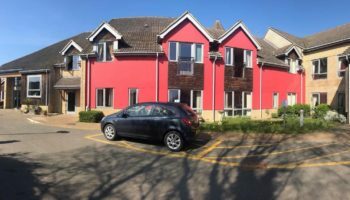 Linda told CHP: “In the olden days, many older people would retire to the seaside and spend their later years in a hotel and I’m sure that was the true beginning of care homes. Linda describes Aura’s goal as delivering well designed, top quality homes, offering exceptional service and care to its residents. She takes a hands-on approach with her business having designed the lavish interiors of Aura’s 64-bed boutique style King’s Lodge in Camberley, Surrey and its recently opened Stratton development in Cirencester in the Cotswolds, which combines one- and two-bed apartments with a 61-bed nursing home. 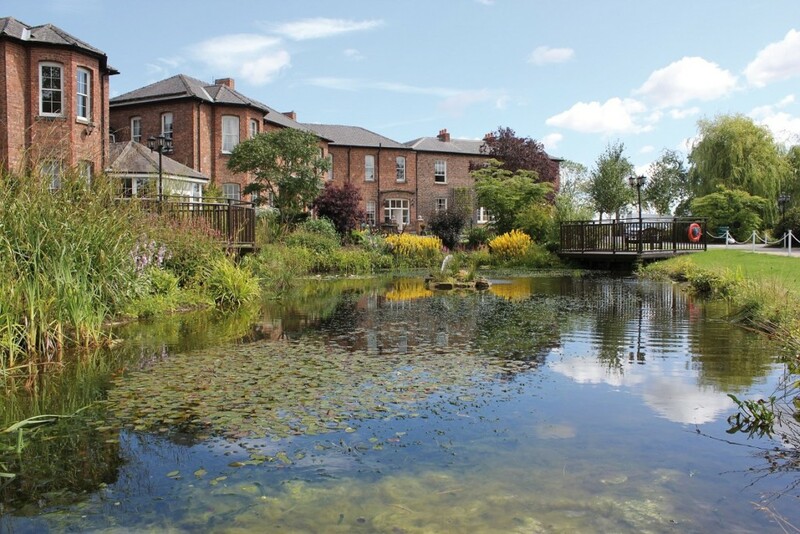 The strikingly-designed homes, which have been developed by sister company, Aura Care Construct, have won industry recognition with King’s Lodge amongst the winners at last year’s Knight Frank Luxury Care Home Awards. Aura also enjoys heavyweight financial backing with its developments funded by Octopus Healthcare. 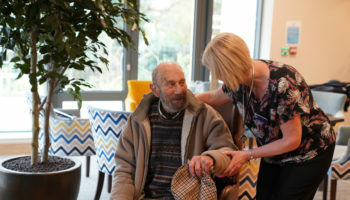 By combining high-end retirement living and nursing care on one site, Stratton Court offers a template for future care developments as providers increasingly seek to offer a range of care servicing clients’ needs right through to the end of their lives. Stratton Court offers all the facilities you would expect from a top hotel, including a fine dining restaurant, bar, cinema and library, in combination with a bespoke activities programme offering everything from cake making and art to pilates classes. Eye catching technology innovations at Stratton Court include an outdoor heated pod, offering residents year-round access to precious sunlight. Providing nursing care for residents approaching the end of their lives comes with its accompanying risks, however, and entails dealing with residents and their families in a highly charged emotional environment. CHP witnessed this first hand during a tour of the impressive Stratton Court site when we were approached by an emotional family resident unhappy with the level of support they had been provided for their dying relative. Linda told CHP: “Unfortunately, it was a very emotional time for the family with their loved one at the end of her life. It was an extremely difficult time for the family and emotions were running high. 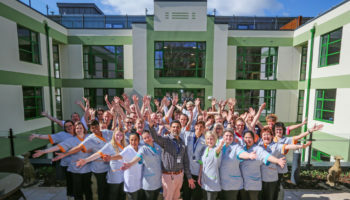 Undeterred by the incumbent risks of nursing care, Aura plans to roll-out its Stratton model at two further developments in Topsham, Devon and Solihull, West Midlands over the next six months.